Edinburgh has always been a top destination for everything to do with weddings. If you are getting married and are looking for a hen party with a difference then look no further. 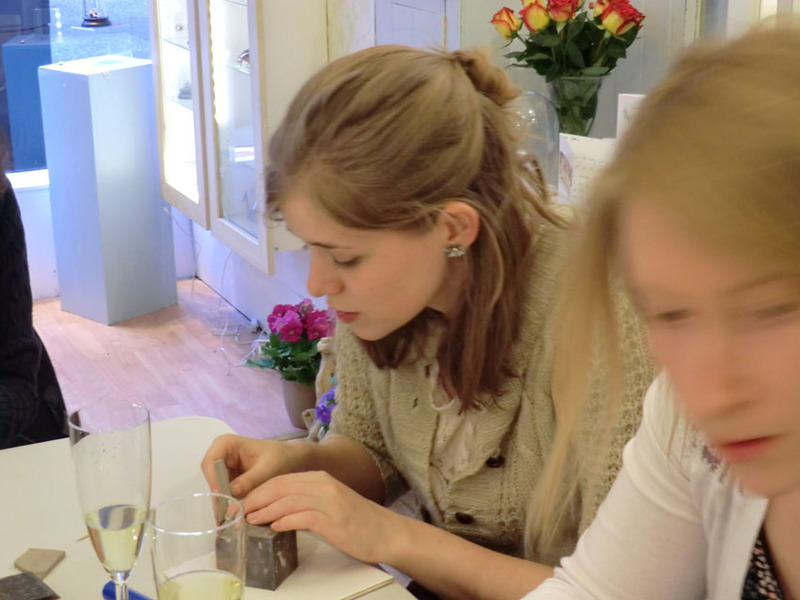 Our Silver Clay Hen Parties offer a fun and relaxing day, or evening for a bride and her guests. Everyone will be guided through the process of working with silver clay so you can each make a couple of pure silver charms. One of these will be given to the bride, and then as you relax with a glass or two of fizz, we will make all the guests charms into a silver charm bracelet like the one pictures above for the Bride to wear. Our parities take place in our new studio located at Edinburgh's newest and most exciting arts complex, Summerhall. We can cater for up to 10 - and we can will discuss with you dates and times that suit. 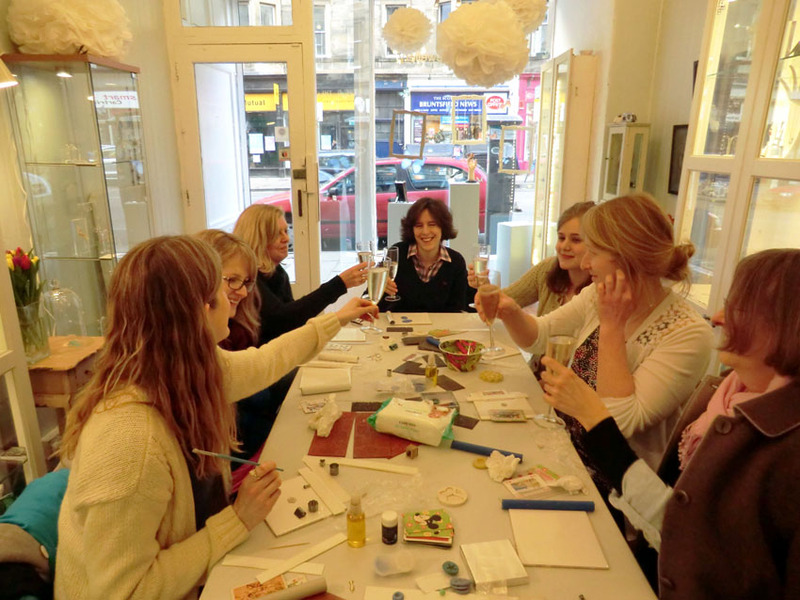 So if you and your group are traveling to Edinburgh for your Hen weekend - you can have your party with us before heading to the Summerhall's very own bar for a cocktail, and then out on the town. Parties last for 3 hours, and cost £65 per head. For further information please call us on 07775 707 199.